Some they say are born great, others labour for it. Like his progenitor and namesake in the Bible who was poised for greatness right from a tender age. 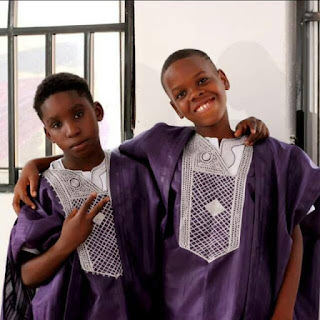 Anyanwu Chukwuma DAVID has equally commenced his journey to execellence at an early age. Checkout the outfit ! A top model in the making, promoting our beautiful, rich, cultural heritage.